We still haven&apos;t found a house. Well, wait. Wait wait wait WAIT. We found one house that we absolutely LOVED and put a contract on it and then they decided they didn&apos;t want to sell it anymore. We found another house that got all the way through inspection and then failed the radon piece of it in a big way. Nix that one. We found another one and they don&apos;t want to sell it for a reasonable price and apparently are trying to make $150,000 (yes, I put the correct number of zeroes) off the sale of said house from what they bought it for a few years ago. We ain&apos;t payin&apos; for no college, unless it&apos;s our own kids, yo. So. Off we go again today to see five more houses. Yesterday we saw two inside and drove by four more to see if we liked the neighborhood enough to explore more in depth. Tim&apos;s company thinks we are being picky and are looking for a "dream" home and we are just like no. All we are trying to find is one that doesn&apos;t have holes down to the wood in the carpet, backs to a huge retention pond with a gate that has a door leading right into it in their backyard for small children to fall in, a door on the second story that leads directly to the hospital with a broken neck because they didn&apos;t want to upgrade to a deck option so when you open the door, there is nothing but a rickety wooden "gate" to keep you from taking a 15 foot drop to the ground below (why they didn&apos;t just put a window there is beyond me), wallpaper and paint in the darkest most awful colors….I mean we aren&apos;t going to be living here for lots of years. Only a few years. And because we know we will be moving, we want a house we don&apos;t have to fix for 50% of the time we will live in it and only have 50% of the time to enjoy it. And then have to worry if we will get our money back out so we have money to put down on wherever we end up next. It&apos;s a vicious cycle and we know how to play the game and really, Tim&apos;s company, you should be more helpful. It doesn&apos;t make it any easier that we are currently in a sellers market. So now, all these people are looking at their house through rose colored glasses thinking it&apos;s worth $150,000 more than it was five years ago. This morning while Tim was making pancakes and Kellan and Hunter were playing and I was drinking coffee, probably, I said what I have apparently been saying every time we are about to go see a house. Something exactly along the lines of, "I really hope we like one of these so we can put a contract on it and be done!" Right after those words came out of my mouth Tim was like stop! You&apos;re jinxing us! I was like what? No I&apos;m not. That&apos;s ridiculous. I told him I didn&apos;t believe in those sorts of things until he reminded me of all the old wives tales I made him do to try and get knocked up last year. He saw that I knew he was right and so he looked at me like, "mmmmhmmmm you know you do." Okay, fine. We all believe in those things. Even if we don&apos;t want to admit it. My favorite number is two and I prefer living in a house with an even address number. Tim: "We need to try and mix it up a little." As in, stop saying how much I hope we like one of the houses. So I looked at him and deadpanned, "I REALLY DO NOT WANT TO GO DO THIS TODAY." Tim&apos;s brain immediately goes into solve it mode. "I&apos;ll just go or you can go and I&apos;ll stay…." I looked at him, waiting for him to catch on and he just looked back at me like what??? I&apos;m trying to solve the problem! You don&apos;t want to go so just one of us can instead…….. Mix it up you said. Change the words you said. Missed the joke, you did. And Tim, who is not one to like the fact that he missed out on a joke, was like, "You sounded so serious! It was so real! And whooooshhhhh! There was a left turn and I wasn&apos;t on it!" For the rest of breakfast I was given the Actor of the Year award and Tim&apos;s brain was a broken record because he couldn&apos;t believe he could set up a joke so perfectly and then one second later, miss the bus. You know when you had this whole plan and it all seemed like it was going to work out, so much so that you started putting a lot of time and energy into acting on the plan and then even started writing a blog post regarding some of those pieces parts about said plan….and then. You’re so funny, universe. I know you’re actually looking out for us but really. So funny. Appreciate it and all but still. Here we go again. SO. The plan gets a kink and the kink is so serious that you’re not even sure if you’re going to carry out the plan anymore. Hello, welcome to my life, the current edition. Of course this allllllllllll revolves around the hazmat house. And this time it’s actually living up to its name! Way to be a team player, house. I guess if you describe a thing a certain way enough times it ends up taking on those properties. Murphys Law or something. Probably not Murphy at all but definitely some kind of law the universe has in place. We are in the process of having appraisals and inspections and all completed and yesterday we received the radon report. You have no idea what I’m talking about? Sidebar: If you live in Colorado, I hope I’m not talking to you. And if anybody has a better lesson on this or if I am describing this improperly, please share. Radon is a gas that is created by the natural breakdown of uranium in soil. It comes up from said soil into your house. When you have this gas in an enclosed and well insulated/sealed area like a house, it floats around until it exhausts its half life, which is around 4 minutes and that is plenty of time for the particles to get into your lungs. Having this happen day after day, year after year can cause lung cancer. Because radon is a carcinogen and carcinogens are super bad for your body. Radon is more prevalent in some areas of the country (looking at you, Colorado…and now apparently also South Carolina…) and it is also more frequently an issue when you have a basement. Usually you have a radon mitigation system in your house to combat this. It is a pipe that goes from the ground to outside to vent the gas. It doesn’t remove it completely but it gets rid of enough of it to get it to lower levels. Still a carcinogen…just not as much. Really that sounds ridiculous but it is what it is…because radon is everywhere. The hazmat house said it had a mitigation system. The radon test result said that mitigation system is not doing its job. Levels that warrant intervention are at 4…..okay really it’s way more complicated than you probably want to know. Brass tax is the house radon levels are high and we are concerned. I don’t want any of us exposed to a carcinogen at levels that are putting us at a much higher than average percentage of developing lung cancer. Yes, we know the system can be fixed. But the big question is will it really BE FIXED? Yes, they’ll do another 2 day test and it that comes back as acceptable…and we say we will go ahead with the sale……. Okay really. It feels like I’m trying to justify us eating bowls of fried sugar washed down with soda and driving around without seatbelts – and we do not do any of those, for the record. The most accurate radon test is 90 days and if we decide to buy the house and then do the 90 day test and find out that radon is still a big issue….mitigation system or not….then what? 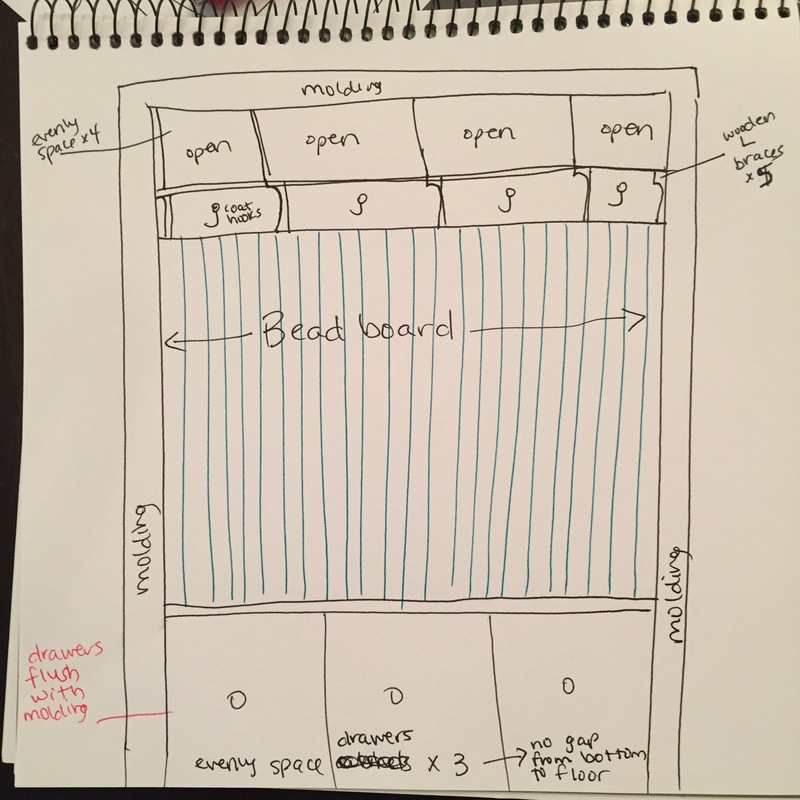 And to think this post was going to be about the distress we were having about how difficult and confusing it is to buy an area rug…..one email later and look where we are now. I know I briefly mentioned we were moving into a new to us house. Honestly I feel like we keep moving into houses, making them nice, and then handing them off to someone else to enjoy as their forever home. It’s like we are the home fixer fairies. You’re welcome, families in Georgia, Colorado, and Arkansas. Really though. It’s kind of nice to be able to give that kind of “gift” so to speak. It’s hard because we have to leave the lovely house we made, but it’s also fun to be able to give the joy to someone else. At this point in our, “No, we aren’t a military family we just get moved around a lot” life, I’m fairly confident we can make a nice house. It’s kind of the obvious knock on effect when you have two super type A personalities living under the same roof who have ticks about certain things and cannot deal until they are made whole. Each house we have owned has sold faster than the last. And by faster I mean one took two weeks. The next 1.5 weeks. The last a week exactly. I’m going to be kicking myself in a few years if the house we are buying now takes longer than that to sell. Fingers crossed it doesn’t. Anyway, we are currently in the throes of figuring out what we want to do to this new to us house. There are lots of things we could do, but because we aren’t staying here forever, we have to be selective. Selective means we can’t put more money in the house than we can get out. Don’t get upside down. Make money on the sale, don’t lose it. I told Tim I wanted to make the coat closet by the garage door a makeshift mudroom because that area was really poorly designed, entirely too narrow, and who puts three doors in a tiny space within five feet of one another?? I needed a functional space for the boys to take off and store their shoes and such and I had to get rid of a door. Enter mudroom in a closet, aka remove the door. I am a creative person. I think in ways Tim cannot conceive. I have learned I need to communicate in pictures. I showed him the magic of Pinterest. I even made a terrible drawing with even more terrible handwriting. I have never had nice handwriting and well, it is what it is, people. I am beginning to realize that I really enjoy two things about moving. I like staging our house when we have to sell it and I like fixing it and making it nice when we are moving in. Really I would stage anyone’s house if they’d be able to deal with me and my “yes you have to take pictures of yourself down and yes you have to declutter like you’ve never decluttered in your life” mentality. Hey…it works. It might be a PITA but it works. However, I do not like packing or unpacking. Let’s be clear about that. I like beautifying. Finding the perfect spot for things. Making the house feel like a home. Right now we are in a holding and planning pattern until we close on the hazmat house. Yesterday we had a marathon day with inspectors and carpet and flooring people and paint and handyman and security and fence people…along with me having a small conversation with our realtor to make sure that she communicated what we (read me) expected in a professional cleaning we are requiring. Because you guys. It’s serious. The amount of grime and dirt in places is…we cannot figure out how it even happened. It’s like they took a mixer, filled the bowl with mud and bits of leftovers, picked a random outlet in the house and flipped it on high. Or they just took a sock and dipped it in brown water and went around flinging it against whatever wall they could reach. And then there are things in places I have no explanation for. Like caked smudges on wall mirrors that require scaffolding to reach. But that’s not the point. Doing all of this tedious stuff means we are moving closer to getting stuff done! We as in not really Tim or me directly but still. The day of contractors definitely was not an easy one for Kellan. He had to do a lot of waiting around and in the rush out the door, I forgot his snacks for the hours long event. Really, I always forget something unless I put a post it on the door with all the things to remember…and still sometimes I forget. I told Kellan I would take him to the grocery store as soon as I thought I had a window. Then, when I thought that window was open, I handed Hunter off to Tim while he was still dealing with the floor guy and the inspector. Kellan and I headed out the door and then the painter and handymen drove up right as we were walking to the car. Let me just say he didn’t like that answer at all. Ensue lots of tears and him reminding me how absolutely hungry he was (let’s pretend we forgot about how we talked about eating breakfast and how he’d be hungry later). Luckily our real estate agent helped distract him while I went around showing the painter and handymen all the things we wanted painted and fixed. I think I made my point. Or I scared them. Hard to tell. So, back to the STARVING child, by the time I was ready to take Kellan to the store, I’m pretty sure he forgot about eating because he was perfectly happy running through the aisles, picking out stuff, and telling me he wanted it to take a loooooooong time. Probably because we were retuning to the house of no fun (yet). When we got back I had him go upstairs to the kid room to read the books that were there. I figured it was at least something he’d enjoy so he didn’t have to think about how hot it was. Apparently the owners don’t believe in air conditioning or watering their lawn and plant life. Anyhow. Wow am I going all over the place. Once we knew our offer for the hazmat house was accepted, Tim made a spreadsheet of estimated costs before we started getting quotes and actual costs. Anyone have a money tree growing out back because we need to pluck a few dozen or so benjamins. Apparently I need to get into the handyman and carpet business. I’m not interested in the paint business because I don’t like to paint. Actually if I’m being honest, I’m not interested in the carpet business, either. But I can definitely get excited about some one off creative work requests. I do think I’m going to have to start teaching myself how to do some things. Maybe go to a few Home Depot workshops or something. Then Kellan, Hunter, and I can build and create all sorts of fun! And save some dollars because WOW. Obviously Hunter still has some major baby milestones yet to accomplish before he gets down and dirty with construction materials and I am not rushing those baby things at all. He’s already trying to grow up too fast and I’m just over here like wait! How are you almost at the age where you’ve been out longer than you’ve been in??? Dear Money Tree: Kellan says you’ll grow if we just plant a dollar in the ground, cover it with dirt, and water it. Author JessicaPosted on July 7, 2017 July 7, 2017 Categories new beginningsTags diy, family, house stuff, kids, life, mom life, new beginnings, parenting6 Comments on where’s the money tree?